Sterling Silver and Enamel Charm. 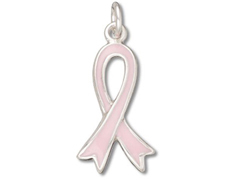 Pink symbolizes breast cancer and birth parents. This product was added to our catalog on Monday May 22, 2006.